Awesome shed! 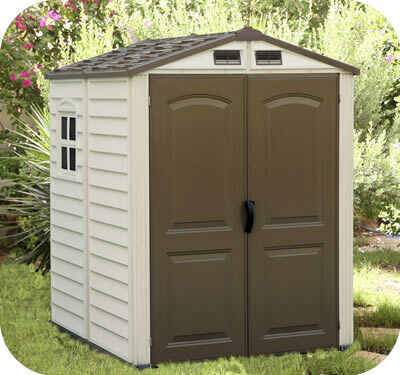 Worth every penny, a great deal for a high gra ..
Our DuraMax 6x6 StoreMate shed comes in premium vinyl with a vinyl floor. 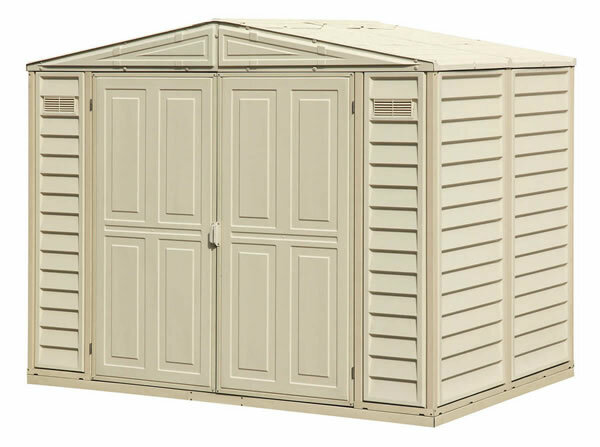 Great low costing vinyl garden shed for small projects! 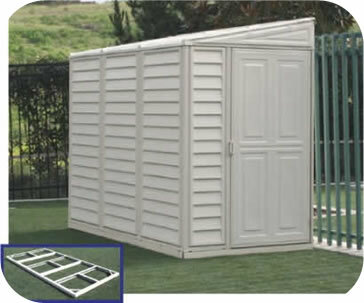 The StoreMate features a 6' wide format that’s ideal for smaller yards or patios. 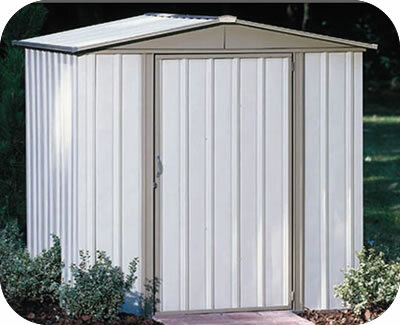 This shed features a complete solid reinforced vinyl floor that eliminates the need for building a foundation. The assembly is very simple and requires only a few household tools. The wall columns are reinforced with solid metal allowing you to easily mount the shelves or tools holder. One Embedded Window Included! Can be installed on either side! Vents For Fresh Air Circulation Included!